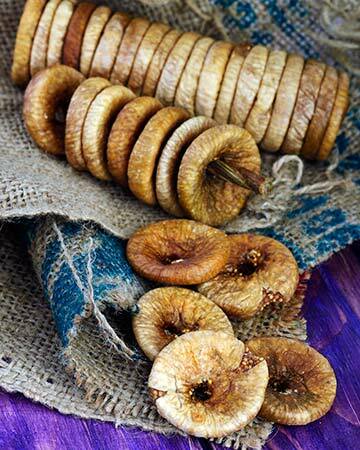 Thought to be the sweetest fruit, figs are also one of the oldest fruits recognized by man. It's no wonder the fig has been enjoyed for centuries. Figs grow on the Ficus tree, which is a member of the Mulberry family. They are unique in that they have an opening, called the "ostiole" or "eye," which is not connected to the tree. Figs range dramatically in color and subtly in texture depending upon the variety.